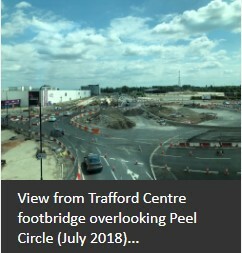 August 2018 brings an end to Openreach’s involvement with a new £350m Metrolink expansion through Europe’s largest trading estate. The impact of ‘Trafford Park Line’ on the existing Openreach network in this area of Trafford was significant. Initial discussions between Transport for Greater Manchester and Openreach started in 2014. Throughout 2016 detailed diversion projects spanning the proposed 5.5km route were issued to TfGM. Finally, Openreach commenced diversions in January 2017. What transpired was nothing short of incredible. A new civils infrastructure consisting of 15 manholes, 60 chambers, and 5000m of duct was installed. Added to this 32,500 man hours went in to diverting 92km of copper and fibre optic cables – greatly assisted by BT Cables in the manufacture, storage, order management and delivery of cables.